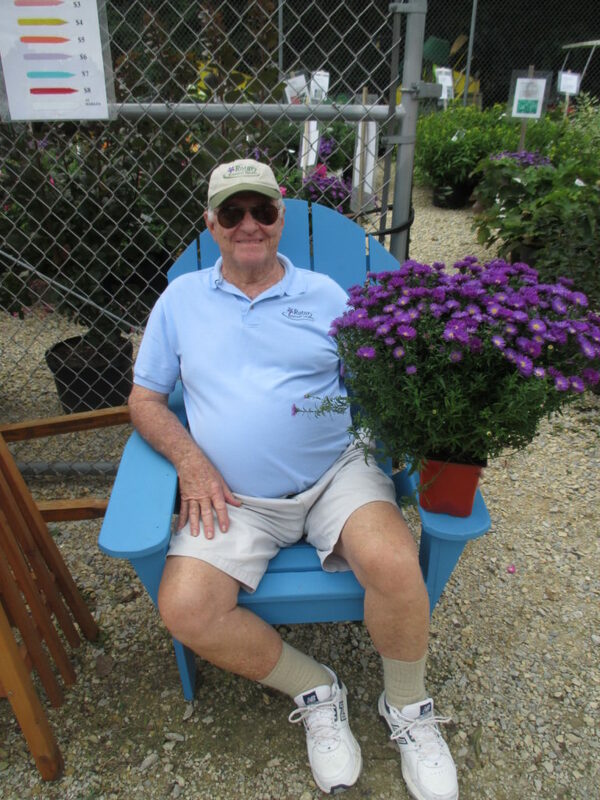 It was a great day at the Members Only Plant Sale at the Horticulture Center. The weather was nice although it looks like some rain tonight. 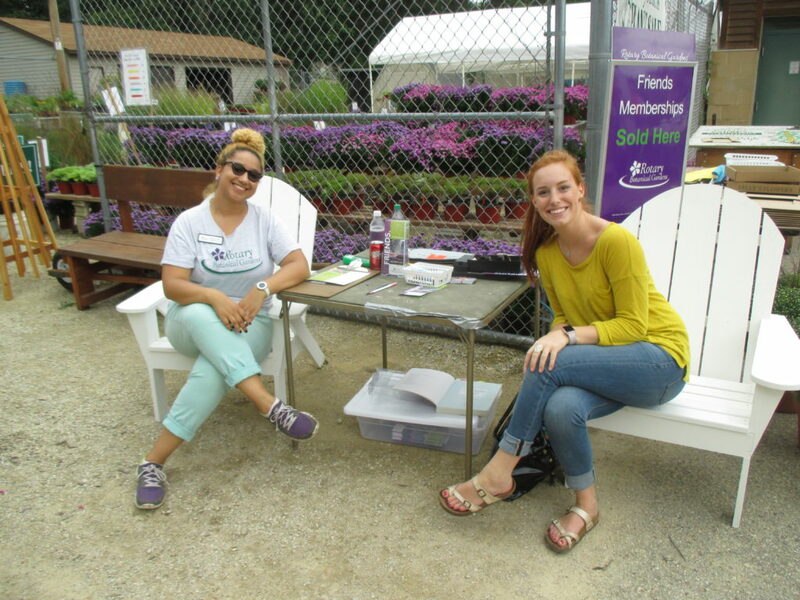 We had very steady traffic throughout the day and had some new members sign up on site so they could enter the sale! We had great volunteer help today both at the sale and out in the gardens. 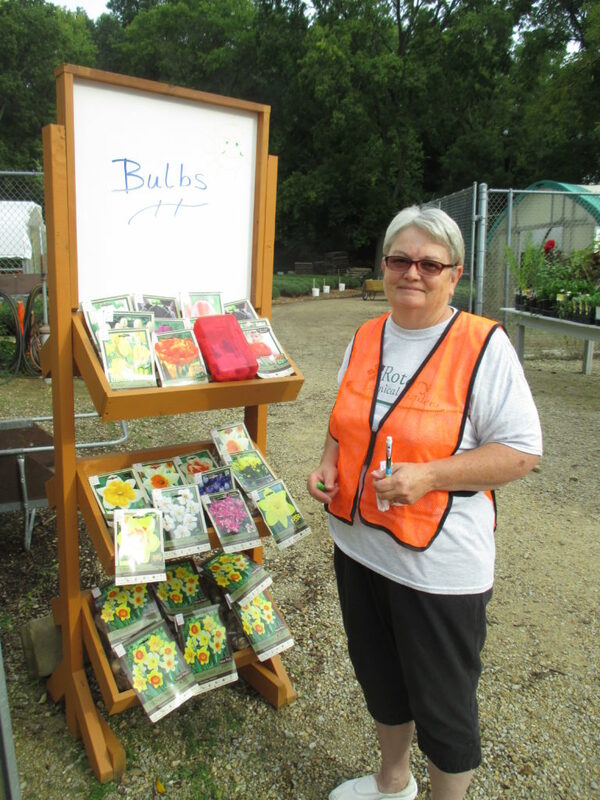 Above is Tina B. preparing a bulb display to entice customers. 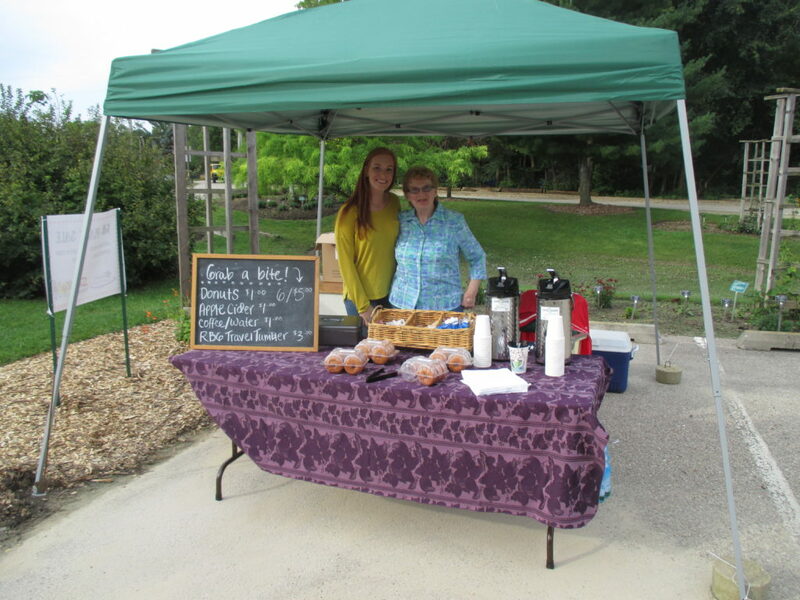 We also had Steve’s Deli Dog House serving lunch and below are Hayley and Olive at our donut/cider/coffee tent which saw some nice action as well. We were happy to see lots of mums leave the sale (plenty left!) 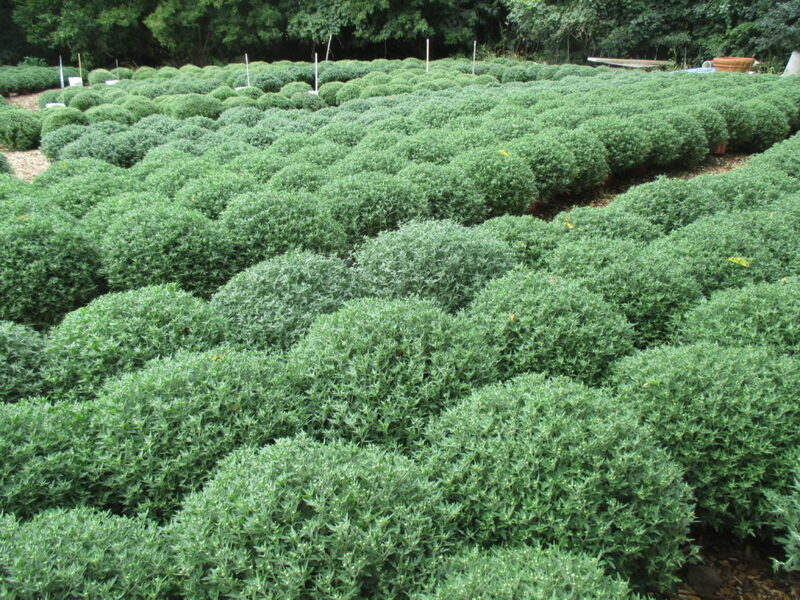 and a wide range of other plants. 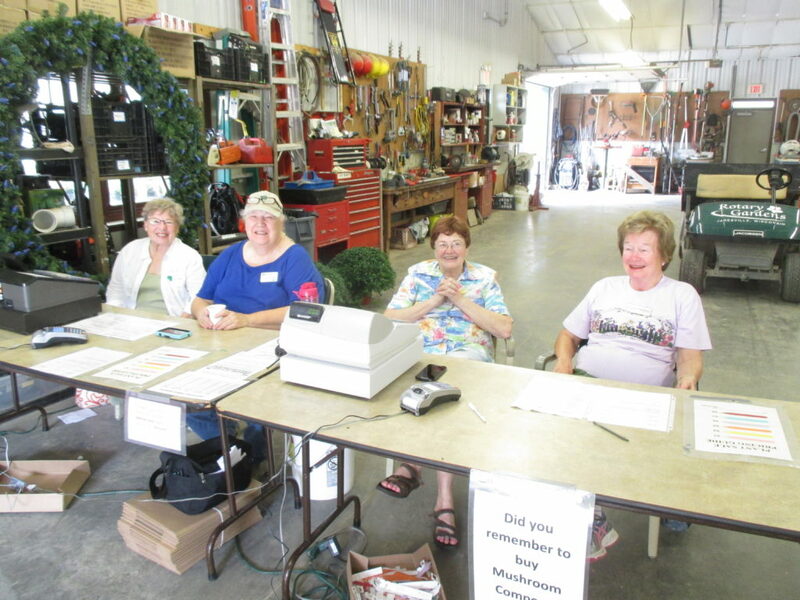 Our plant sale volunteers included El, Elaine, Joy, Bonnie, Nancy, Mary Kay, Audrey, Becky, Corky, Joan, Tina, Pat, Art, Gene, Shirley, Bob, Barb, Lloyd, Dorothy and Olive. We also had some help from Dave E., Maryam, Hayley, Polly, Gary, Pam and many others. We hope for a great turnout of customers for both Saturday and Sunday. 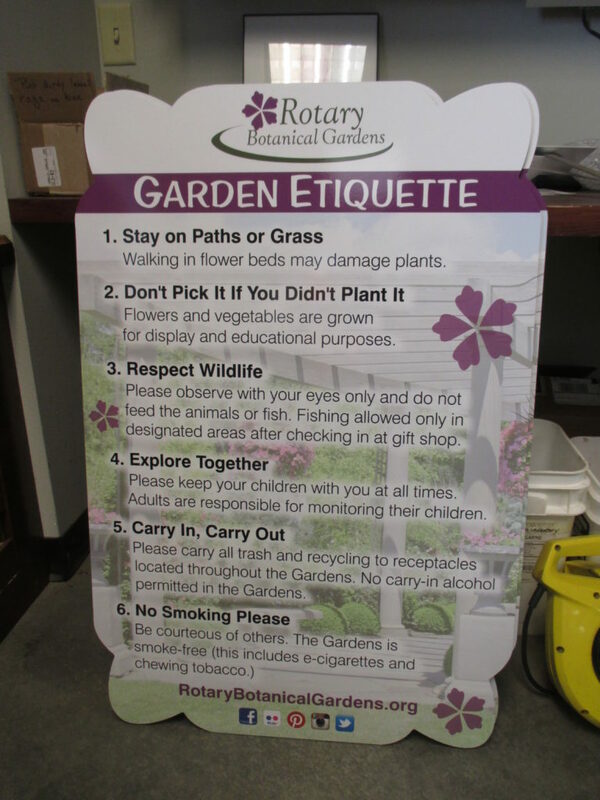 Meanwhile…we have a garden to tidy up and our grounds staff of Larry H., Cindy B. and Terry N. worked on a wide range of tidying projects around the gardens after helping get the sale ready to go. 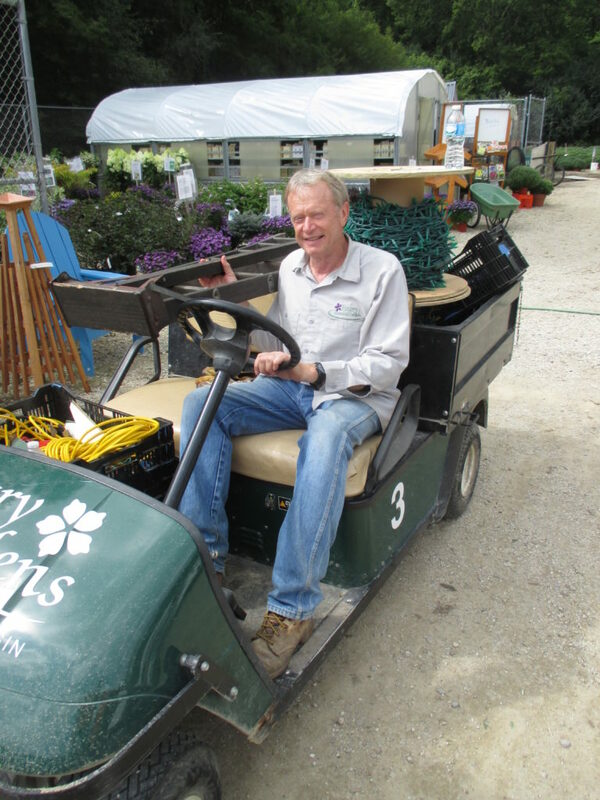 Larry worked on putting up more lights in the Japanese garden while Cindy bounced between weeding and tidying projects. Terry also focused on tidying efforts as we have two weddings out in the gardens as well. Our excellent gardening volunteers included Kathy, Eva, Kristin, Del, Larry O., Cheryl D., Marv B., Dr. Gredler (mowing) and Bill O. (mowing). We saw many others during this busy day! 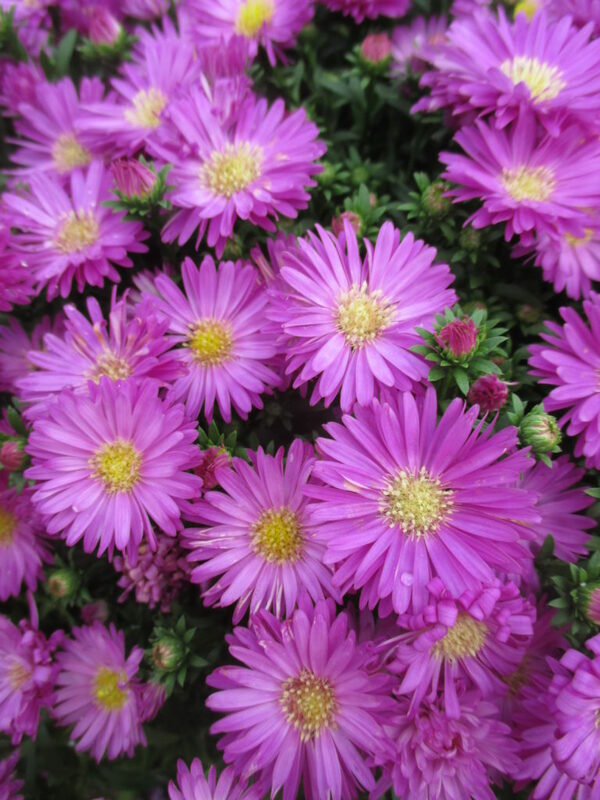 asters (Aster sp.) are only $5 each!